← 494 "The Ten-Per-Cent Solution"
―Homer, as he cryogenically re-freezes Grandpa. The Simpsons are gingerbread people set out on a plate for Santa Claus. 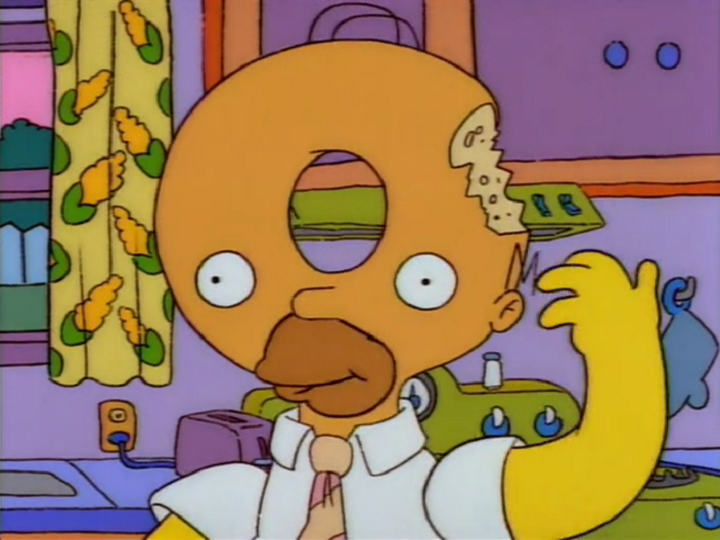 Homer takes a bite of himself. Cafeteria trays are not toboggans. Kang, dressed as Santa, flies past on a sleigh pulled by reindeer. 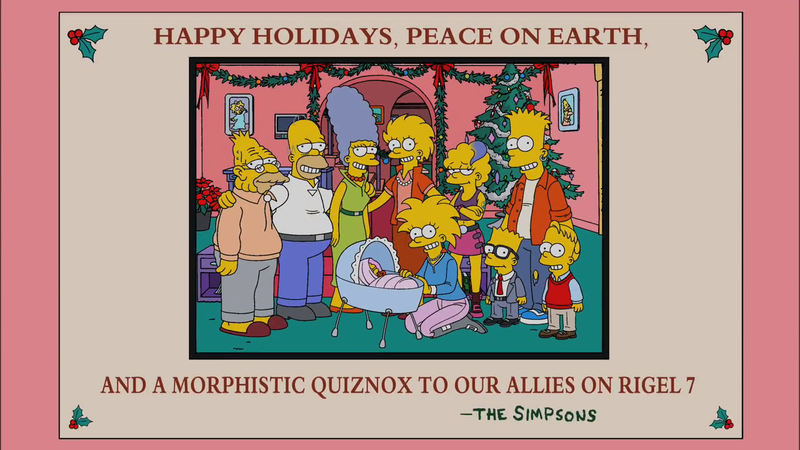 "Holidays of Future Passed" is the four hundred and ninety fifth episode of The Simpsons and the ninth of the twenty-third season. The family are sitting around the table after Thanksgiving dinner. Marge then announces that it is the end of Thanksgiving and Christmas is starting. The kids instantly realize that this means Christmas card photos.The family gather on the couch for a photo. A series of photos then are shown, one for each year, with the family aging, growing and finally coming apart, leaving only Homer and Marge in the photos. Eventually, 30 years have passed. 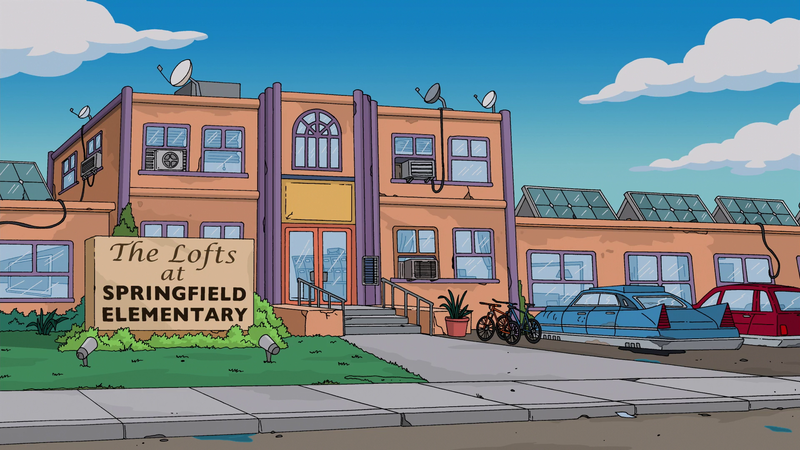 The Lofts at Springfield Elementary. In 2041, Bart, now a divorced 40 year old, is living in The Lofts at Springfield Elementary. 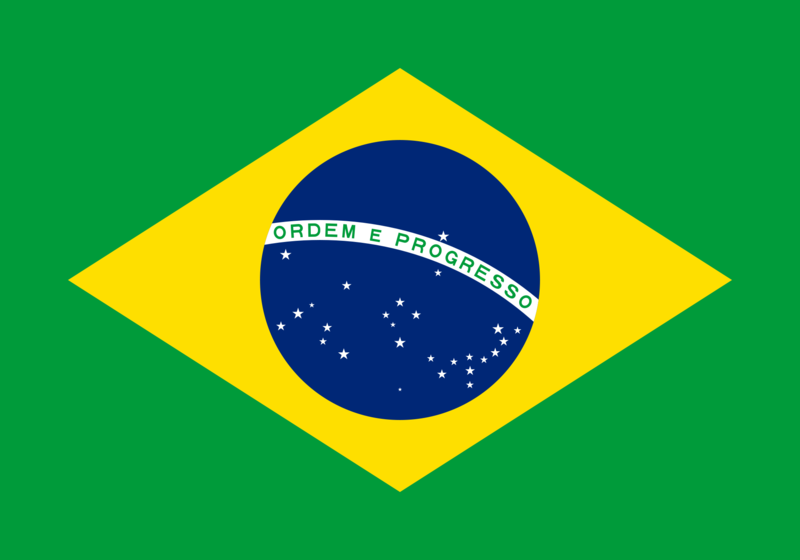 Seymour Skinner comes in and asks for his rent and Bart tells him that he will get it if he sells his only good kidney, thinking that they grow back. Then, the teleporter activates, and Bart's two sons teleport in, complaining about being sent to live with their father for Christmas. Bart then thinks that he will dump them on Marge and Homer but they can read his thoughts. In the Van Houten house, Zia Simpson returns home from school and Lisa asks her how her math test went. She then plugs herself into the Ultranet to get away from her mother. Milhouse Van Houten then comes in complaining about his holiday allergies and Lisa suggests that he goes to a non-Christmas celebrating country. In London, Maggie is staying in The Benny Hilton where she is getting a scan from a Medbot. Her band members are asked who the father is but no one says anything. Her band then change the screen on the Medbot to a soccer game. Back at the Simpsons house, Marge and Homer are in bed. Marge then gets a B-Mail (e-mail direct to the brain) from Maggie, Bart and Lisa telling her that they are all coming round for Christmas. Homer then gets a B-Mail which is a virus and starts to have a fit. Lisa and Bart arrive with their kids and see Homer making model spaceships in bottles, which he does to keep distracted from drinking alcohol which he has now given up. Bart and his kids then start to decorate the tree when the kids tell him that his ex-wife, Jenda, has remarried. This leaves Bart very depressed and Homer offers to take the kids out. Ned Flanders then comes round and tells Bart that finding new love is hard, which is why after Homer accidentally killed Edna Krabappel, Ned remarried Maude's ghost. Maggie meanwhile is on her way back home. She goes to the Heathrow Teleport where she is told she can't use the teleporters while pregnant and that she has to use air travel. She then starts her journey back to Springfield. Lisa then starts to complain about Zia to Homer. Homer then decides to show Bart's kids to downtown Springfield. 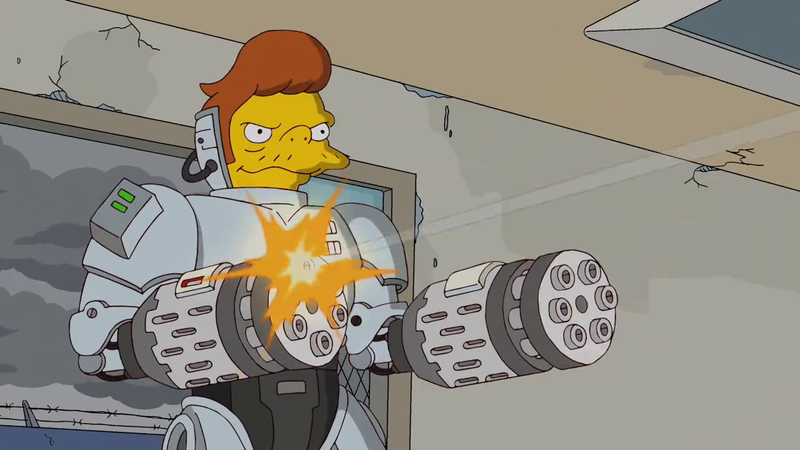 They first go to the Kwik-E-Mart where Snake, now a cyborg, tries to rob it, only to meet resistance from Apu and the Octuplets who are firing weapons at him. They then go to Burns' manor where Homer throws a rock through the window. Mr. Burns orders Smithers to release the hounds and Smithers dumps a box of bones on the ground. Maggie is back in Springfield where she is in a taxi driven by Kearney after Maggie starts getting contractions, Kearney orders the taxi to take her to the hospital. After a slight mix up because of the taxi's computer, taking them to the Computer Hospital, they get on their way. Bart and Lisa talk in the treehouse. Lisa goes up into Bart's treehouse with him and sit there drinking alcohol, talking about how their kids disrespect them. They also complain about their parents and how they take the side of their kids. Bart and Lisa then have a heart to heart and they look into Bart's room to see Homer having fun with Bart's kids. Lisa then goes to apologize to Marge while Bart tries to make his kids love him more. Bart shows his kids Krusty the Clown who is now even less funny. Patty and Selma come round with their Lovebots. The Lovebots decide that they can't love them, even though they were made to, and run off with each other, leaving both Patty and Selma annoyed. Meanwhile, Maggie and Kearney are at the hospital where Kearney is trying to get Maggie checked in. The receptionist finds some room for her eventually and Maggie is taken up there. She is then seen by Dr. Hibbert who gives her a pacifier to relieve her pain. 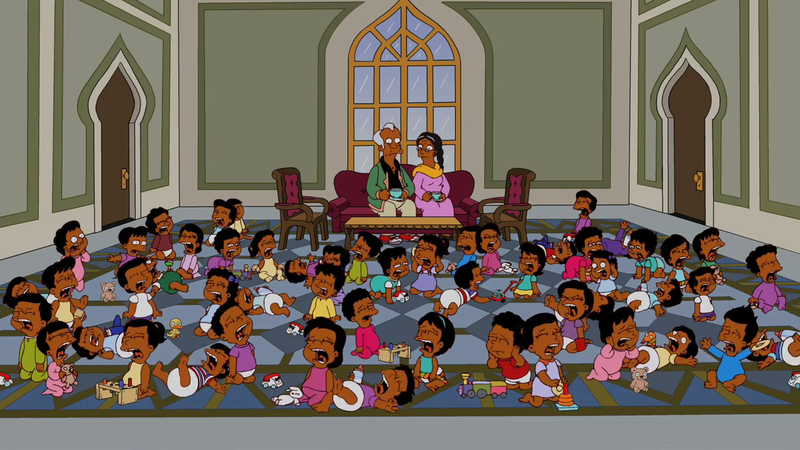 Marge goes to see Apu and Manjula and their grandchildren, the octuplets' octuplets. Marge then gets a B-Mail saying that Maggie is in labor and goes to the hospital, shutting the door in the wrong way that causes the kids to cry much to Apu and Manjula's dismay. Apu then talks to a cow, thinking it is Sanjay reincarnated after his death. Back at home, Lisa goes onto the Ultranet to find Zia. Here, she finds that Martin Prince, Jr. has became Marcia Princess. She finds Google and searches for Zia. Meanwhile, Bart is looking for his children when he is pulled over by Chief Ralph Wiggum who reveals that he has been cloned. He then shoots himself and another Ralph comes along, only to be hit by a truck driven by another Ralph clone, which crashes and several Ralph clones come out the back on fire. Bart then goes to Moe's Tavern to ask for Homer but he wasn't here and only came in earlier to see Lenny and Carl who had swapped brains. Marge arrives at the hospital to see Maggie and meanwhile Lisa enters Zia's room on the Ultranet, to find that she really does look up to her. Milhouse then turns up wearing a burka and asks for someone to FedEx him a prayer mat then leaves again. 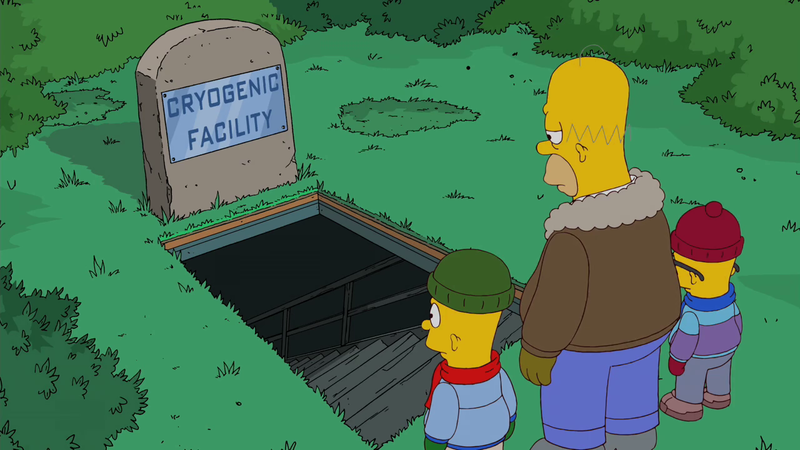 Homer and the kids enter the Cryogenic Facility. Homer and the kids head to the Cryogenic Facility to find Abraham Simpson who was frozen here until a cure for a disease he had was found. The cure had been found but no one told him because cryogenics was cheaper than a home for him. Homer teaches Bart's kids that they should love their father and even though he seems bad now, they will grow up to realize that they love him a lot. Bart then comes and makes up with his kids and they all go home. At home, Maggie and her daughter come in. They then all gather for a photo, taken by Santa's Little Helper and Snowball V who have now evolved into sentient beings. 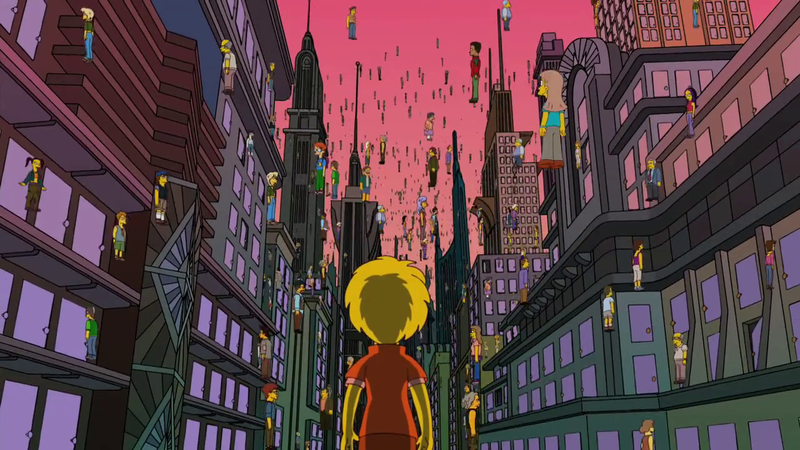 The episode was first announced to the press at Comic-Con on July 23, 2011, during a panel with the producers of The Simpsons. "Holidays of Future Passed" was written by J. Stewart Burns and directed by Rob Oliver. The episode is the eleventh episode within the series to have a Christmas theme. It is the fourth episode set in the future, the others being; "Lisa's Wedding", "Bart to the Future" and "Future-Drama". 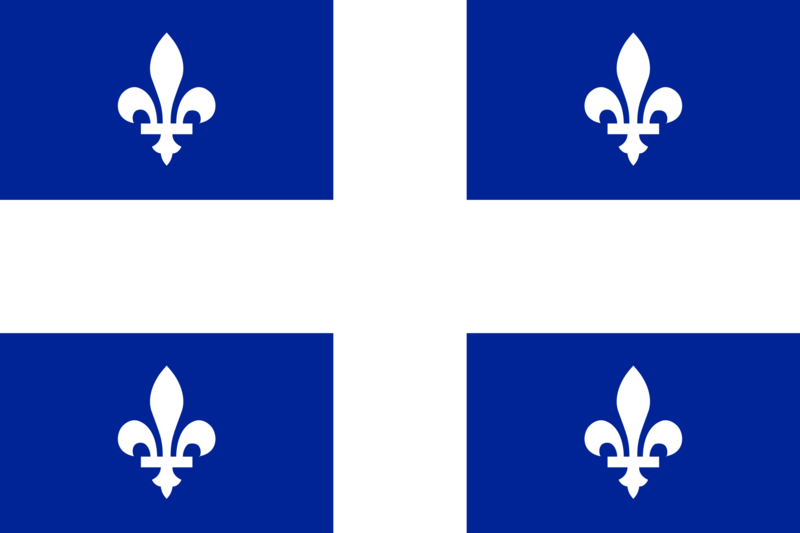 During production, the episode's code was NABF18. There was originally a joke in the episode about a meltdown occurring at the Springfield Nuclear Power Plant in the future; however, it had to be cut following the 2011 Tōhoku earthquake and tsunami that resulted in several nuclear accidents in Japan. Chris Ledesma, the music editor for The Simpsons, said "At the dubbing session there were only sounds of crowd cheering during that shot and Matt said we needed to spice it up somehow. After a few ideas bounced around the room, it was decided that we needed an announcer to yell 'GOOOOOAAAAAAALLL!' Then came the question of who would do it. We all wanted Matt to do it, so he marched up to a microphone and in two takes we had our newest sports announcer." The full opening sequence is cut from this episode, presumably for timing reasons. The episode was watched by approximately 6.43 million people during this broadcast, and in the demographic for adults aged 18–49, it received a 3.0 Nielsen rating and a seven percent share. The episode is nominated for an Emmy Award for "Outstanding Animated Program (for Programming Less Than One Hour)". 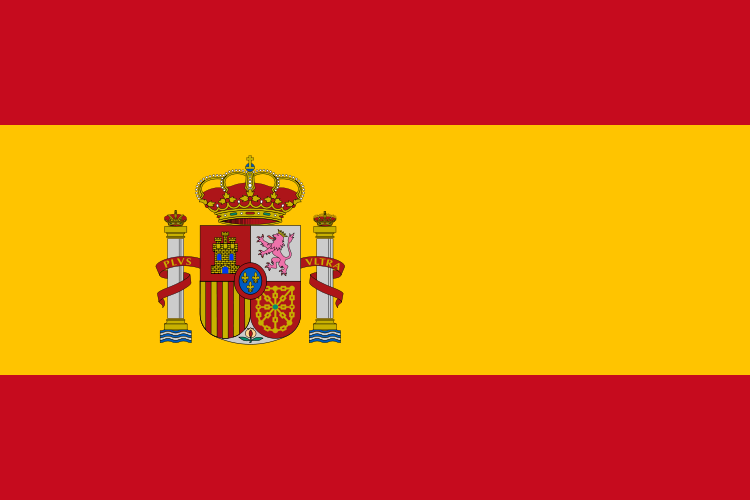 The episode has received positive critical opinion. Ology's Josh Harrison described it as "legitimately funny", and noted that "seeing so many futuristic versions of familiar characters put an interesting spin on the holiday season." Hayden Childs of The A.V. 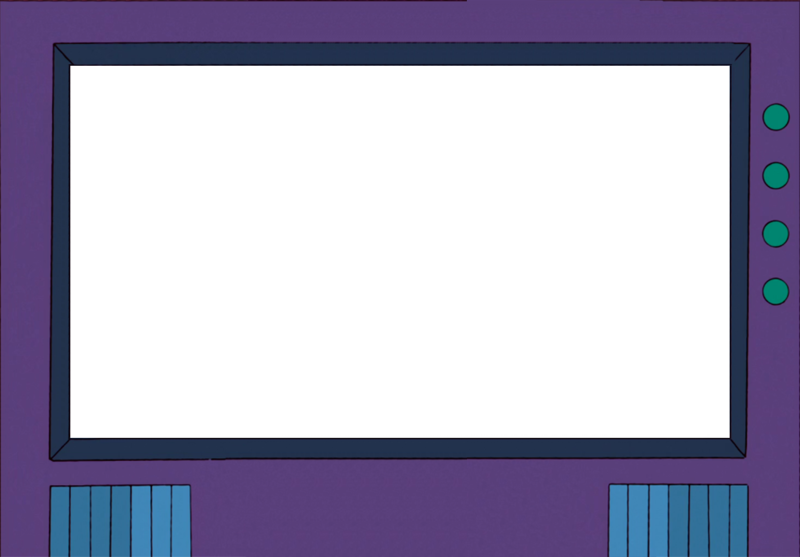 Club gave the episode an A, saying, "The Simpsons found a sweet spot that combined a barrage of non-stop jokes with a tenderness often lacking in latter-day Simpsons episodes. There is even a conversation between the adult Bart and Lisa that rings surprisingly true for adult siblings wrestling with their shared familial past." "Holidays of Future Passed" also garnered positive reception from fans of the series. It currently holds a 8.6/10 IMDB rating and a 9.3/10 TV.com rating. ↑ Simpsons Music 500 - "Wrapping Up 2011"
Modified on March 2, 2018, at 17:32.